Director Glaser will be on a panel to launch John J. Mearsheimer’s new book, The Great Delusion: Liberal Dreams and International Realities (Yale University Press), this month. The launch will include a keynote address from the author, as well as remarks from Director Glaser and Seth G. Jones of CSIS. See below for event information and an RSVP link. 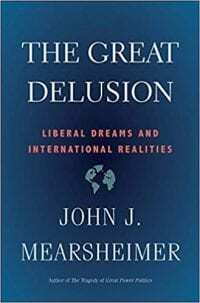 On the book: In this major statement, the renowned international-relations scholar John Mearsheimer argues that liberal hegemony, the foreign policy pursued by the United States since the Cold War ended, is doomed to fail. It makes far more sense, he maintains, for Washington to adopt a more restrained foreign policy based on a sound understanding of how nationalism and realism constrain great powers abroad.